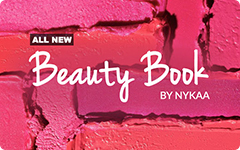 Thank you for registering with Nykaa. You have received a gift from senders name. 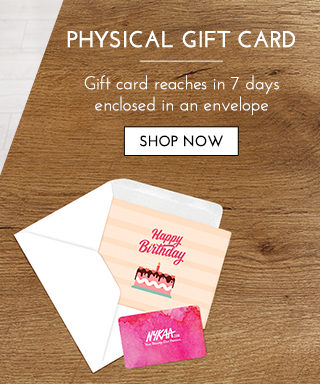 How to use an e-Gift Card at Nykaa? 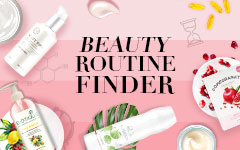 Go to Nykaa.com and select the items you want to purchase. Once you reach our payment page, select the "Gift Card" payment option. Enter your 16-digit Card Code and the corresponding Card PIN and click on apply. The Gift Card amount will be deducted from the payable amount. If the amount of your e-Gift Card doesn't cover your order amount, you will be prompted to select an additional payment option. 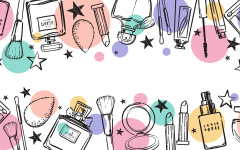 Go to any Nykaa retail store and select the items you want to purchase. At the bill desk, ask the cashier for payment through the Gift Card. Share the 16-digit card code and the corresponding card PIN with the cashier while making the payment. If the amount of your e-Gift Card doesn't cover your order amount, you will have to pay the remaining amount through other payment methods. If the order value is less than the e-Gift Card amount, e-Gift Card won’t be applied to the order. These Terms & Conditions apply to Nykaa.com e-Gift Cards (“e-Gift Card”) powered by QwikCilver Solutions Private Limited (“QwikCilver”). By purchasing the e-Gift Card(s), you are agreeing to and accept these Terms & Conditions. Your use of the e-Gift Cards shall be deemed to be your understanding of, and agreement, to each of the terms and conditions set forth below. The e-Gift Card can be redeemed online to purchase products on www.nykaa.com, and all Nykaa retail stores operated by Nykaa E-Retail Pvt. Ltd. The e-Gift Card can be redeemed only to purchase products sold by Nykaa directly, not valid on products sold by our partners on Nykaa. You may check the seller of the product on the product detail page. 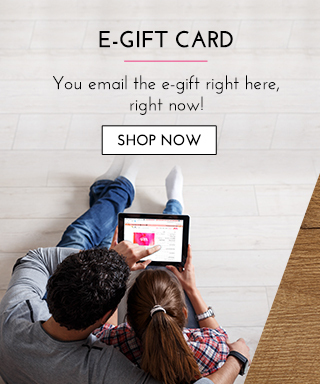 The e-Gift Card can be redeemed online to purchase products on www.nykaa.com, and the online ecommerce store operated by Nykaa E-Retail Pvt. Ltd.
e-Gift Cards cannot be used to purchase other Gift Cards. The Gift Card once purchased cannot be cancelled, refunded or returned. Once purchased, the recipient email cannot be changed. If the order value exceeds the e-Gift Card amount, the balance must be paid by other payment option. If the order value is less than the amount of the e-Gift Card, the outstanding balance (after deduction of order value) will reflect under the same e-Gift Card. For online orders at nykaa.com, if the order value is less than the amount of the e-Gift Card, the outstanding balance (after deduction of order value) will reflect under the same e-Gift Card. For offline orders at Nykaa stores, if the order value is less than the e-Gift Card amount, e-Gift Card won’t be applied to the order. You can redeem only 1 Gift Card per order. The Gift Card can be combined with promotional codes, or other payment options except COD. e-Gift Cards will expire 365 days from the date of issue and the outstanding unused balance will be forfeited. Unused balance of e-Gift Cards may not be transferred to another Gift Card. Nykaa.com and/or QwikCilver are not responsible if card is used without permission. Nykaa will have the right to cancel the e-Gift Card obtained fraudulently and the funds have to be credited back to the same source from where these were received. Nykaa does not warrant that the services and products provided to you pursuant to this Agreement will be free of interruptions, errors, bugs, viruses or security problems. You agree and acknowledge that you shall be solely responsible for maintaining secrecy of the code provided to activate the e-Gift Card. Validity of e-Gift Cards will not be extended, new e-Gift Cards cannot be provided against the expired/unused Cards. You agree to provide truthful and accurate information during the purchase of e-Gift Cards. Nykaa may call for further information and documents from you in compliance to Know Your Customer and Anti Money Laundering guidelines issued by RBI from time to time. In the event the information provided by you, end beneficiary/Know Your Customer(KYC) details are found to be incorrect/ insufficient, Nykaa.com retains the right to cancel or block the e-Gift Cards issued. There is no fee or other charges associated with e-Gift Card purchase. e-Gift Cards cannot be reloaded or resold. These terms and conditions are governed by laws of India. 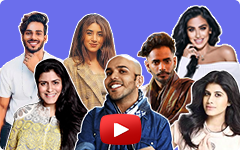 You, QwikCilver and Nykaa E-Retail Pvt. Ltd. agree that all the disputes arising hereunder shall be submitted to the exclusive jurisdiction of the Courts at Mumbai. 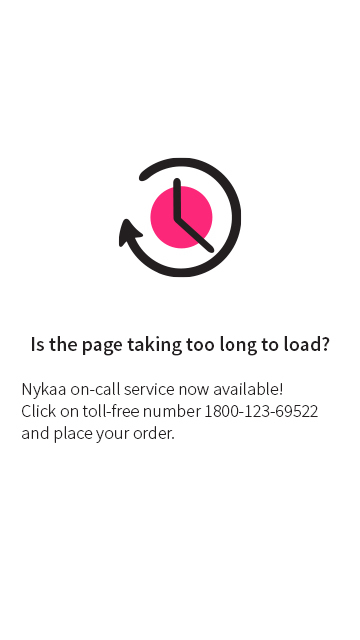 You agree to indemnify Nykaa E-Retail Pvt. Ltd. for all claims brought by a third party against it or its affiliates arising out of or in connection with a breach of any of these terms and conditions. Neither QwikCilver nor Nykaa E-Retail Pvt. Ltd. make any warranties, express or implied, with respect to e-Gift Cards including without limitation, any express or implied warranty of merchantability or fitness for a particular purpose. In the event an e-Gift Card is non-functional, your sole remedy will be the issuance of another e-Gift Card, for the value remaining in the non-functional card. The conditions stated in these Terms and Conditions are in addition to the terms and conditions of www.nykaa.com. Nykaa reserve the right to change these terms and conditions from time to time in its discretion and without prior notice to you. The e-Gift Card is governed by the RBI guidelines and is also subject to directions/instructions issued by the regulators from time to time in respect of redemption, repayment, usage etc. and Nykaa is not responsible or liable for any violation by you of applicable law. All transactions done by using the e-Gift Card are subject to applicable Indian laws. You shall not use the e-Gift Card for any unlawful activity.